This course has been designed for Erasmus and International Exchange students who wish to improve their Spanish Language level. It is compatible with their studies at the different faculties and schools of the University of Malaga. Depending on demand, classes will be offered at Teatinos or El Ejido campuses. 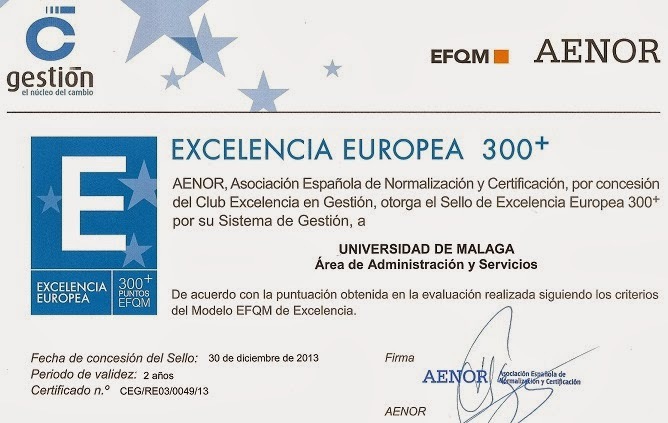 Certificates (included in the enrolment fee): University of Malaga Own-Degree: To obtain the certificate, students must attend at least 80% of the classes and pass the level final exam. When not, students can obtain an Attendance Certificate, if they attend at least 80% of the classes. Levels: there are six levels of this course which correspond to the Common European Framework of Reference (A1, A2, B1, B2, C1 y C2). These courses are offered providing the minimum number of students required is reached after the completion of the level placement test. On the last day of the course, students will take an exam of the level studied. /cms/secciones/ajax/insertar_seccion/ /cms/secciones/ajax/borrar_seccion/ /cms/secciones/ajax/editar_seccion/ /cms/secciones/ajax/mover_seccion/ Are you sure you want to delete this section? 114126 You are about to cancel the edition. All your changes will be lost. Do you want to cancel and lost your changes?